When we aren’t climbing, we’re obsessing over weight, carefully scrutinizing every morsel we pop into our gulletts, slap on our racks or stuff into our sacks. 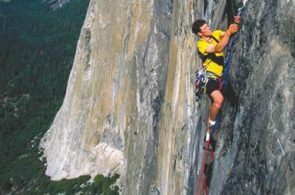 For sure, no one should climb with one gram more than necessary, but can you go too far? Is there a point where light weight becomes way too light? In rope he trusts. Steve McClure on-sighting Super Duper Goo, (5.13b), Blue Mountains, Australia. Photo by Simon Carter. Underscoring the question is a new generation of super-thin, super-light ropes. At present the 8.5mm Beal Opera holds the title for the lightest and skinniest single rope. It’s triple rated as a single, half and twin rope and at 48 grams per meter, it’s the first to break the mythical weight barrier of 50 grams per meter. Compared to standard 10mm cords, the thin lines can trim two to three pounds off 60-meters of rope. The weight savings are dramatic—no other single piece of gear can shed as much poundage in one fell swoop. What’s more, the thin ropes snake across the rock and through carabiners with less friction, saving you additional realized weight by reducing rope drag. Pretty slick, eh? Mind you, super-light ropes aren’t unsafe—all of them are CE certified and meet all rope standards including surviving the minimum of five CE test falls for single ropes, but most barely eek by. In short, the skinny ropes have less safety redundancy built into them, a consideration for all climbers, but especially germane for folks heavier than 176 pounds, the weight used for the CE drop-test. If you tip the scales more than the test weight, the rope could hold fewer than five falls. Of less importance but still relevant, some skinny ropes have maximum impact forces that are on the high side for single ropes. “Maximum impact force” is the amount of strain a rope places on your protection in a fall. The higher the number, the greater the chance your pro might fail.In comparison, the difference between ropes with the highest and lowest impact forces is 1.6 kN, or roughly 350 pounds. An increase in force of 350 pounds won’t matter when you are clipping bomber gear or bolts, but in sketch-pro situations, it could make a difference. 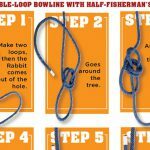 In practical, hands-on terms, the thinner ropes tangle more easily and are more difficult to grip than thicker ones, although they do hold knots better. 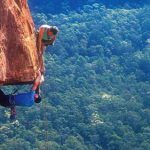 Of greater concern, small diameter ropes may not lock down as well in standard belay devices, especially auto-locking types. 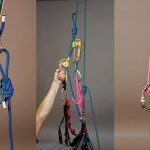 You can improve rope control by using a notched, variable-friction belay/rappel device such as the Trango Jaws, the Wild Country VC Pro and the Black Diamond ATC-Guide, or assisted-braking devices such as the Faders Sum and Edelrid Micro Jul, which are designed for skinny ropes. 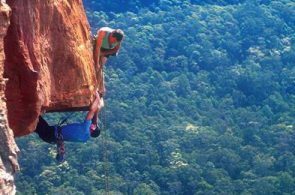 Using two carabiners instead of one to attach your device to the rope might also increase friction, and is especially useful for rappelling. Leather belay gloves are also a good idea. Before you or your partner gets on the sharp end of your rope, check that your device and rope are compatible by experimenting with a few test falls and lowers close to the ground. While the different manufacturers use various technologies to skinny up their ropes—one might use a thinner sheath, for example, while another could have a super-slick coating that makes the fibers more efficient—the bottom line is they are lighter because they have less nylon in them. 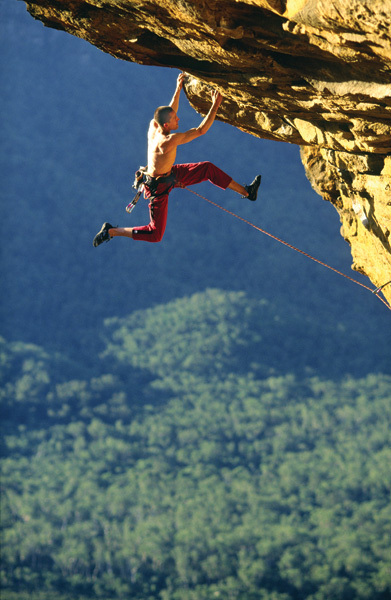 In some cases, the ropes were engineered with the goal of passing five CE falls, using the minimum amount of nylon. Just as car tires with less rubber won’t last as long as those with copious rubber, ropes with less nylon won’t wear as well. Although there is no data to support it, and there is no industry standard test to confirm the theory, anecdotal evidence tells us that thinner ropes are more susceptible to abrasion and cutting. For instance, we know from real world experience that 9mm double ropes wear faster and cut more easily than fatter cords. And, while the super-light ropes we tested at Rock and Ice both performed brilliantly, they showed marked wear after a handful of outings. In heavy use, abusive situations such as big walling, toproping and working a sport route, and on climbs where rope abrasion or cutting is a risk, super-light ropes aren’t ideal. 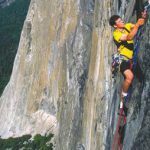 In unexpected rope-cutting situations, say the route leads around a sharp arete, you might tie into both ends of the rope and lead double-rope style. Your rope will naturally only be half as long, but doubling up the rope will increase the safety margin and is worth the fuss if it is logistically possible to do so. Although there is no data to support it, and there is no industry standard test to confirm the theory, anecdotal evidence tells us that thinner ropes are more susceptible to abrasion and cutting. Finally, ropes are really nothing more than nylon shock absorbers. 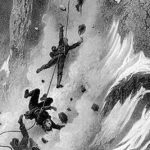 Every time you fall on a rope, it stretches and you use up some of its elasticity, driving up impact forces for each subsequent fall. Because of the tremendous fall redundancy built into conventional ropes, the loss of elasticity isn’t an issue. However, if you treat a skinny rope as if it is a work rope and hammer it with falls, you might begin to experience “hard” catches because you are using up its dynamic capacity. Pamper your skinny cord, both in terms of watching edges and counting falls, and retire it sooner than you are used to. Despite the disadvantages of the skinny ropes—fewer falls held, diminished durability and susceptibility to cutting—this new genre has a place for certain applications. For onsight, flash or redpoint attempts, the weight savings and reduced rope drag could give you a mental and physical edge, especially on rope-stretching pitches where cord weight becomes an issue. To decide if a skinny rope is for you, ask yourself if you would really benefit from the weight savings, or if you would be better off paring back elsewhere. Could you, for instance, use a lighter pack or flog off a couple of pounds of belly fat? One option is to upsize the rope to one of the numerous 10mm or so cords. These ropes hold about twice the number of falls, are tougher, work in all belay devices although they do weigh 9 to 13 grams more per meter. Nevertheless, your rope is your most critical piece of gear. Better to carry a bit more weight than skimp on safety. CRACK! The jolt back onto the bolt, into which you are still quickdraw-tethered, stuns you. You only fell two feet, but your neck is stiff and your innards feel like they’ve been kicked by a mule. To help make more climbers safer climbers, Rock and Ice has teamed up with Black Diamond Equipment to present the Climb Safe series.These articles aim to answer some of climbing’s most common gear-related questions. 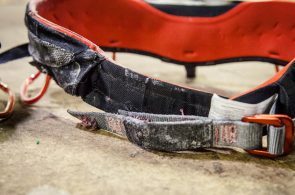 Here, Kolin Powick, Black Diamond’s Director of Quality, investigates a mysterious harness failure and dives into the effects of chemical contamination on climbing textiles.